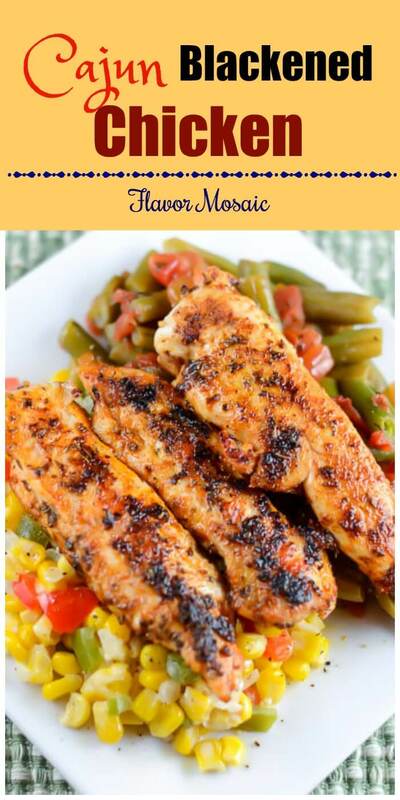 Cajun Blackened Chicken is a delicious, spicy, healthy, easy chicken dish that is a perfect recipe for Mardi Gras or anytime you want a quick, easy, healthy dinner. 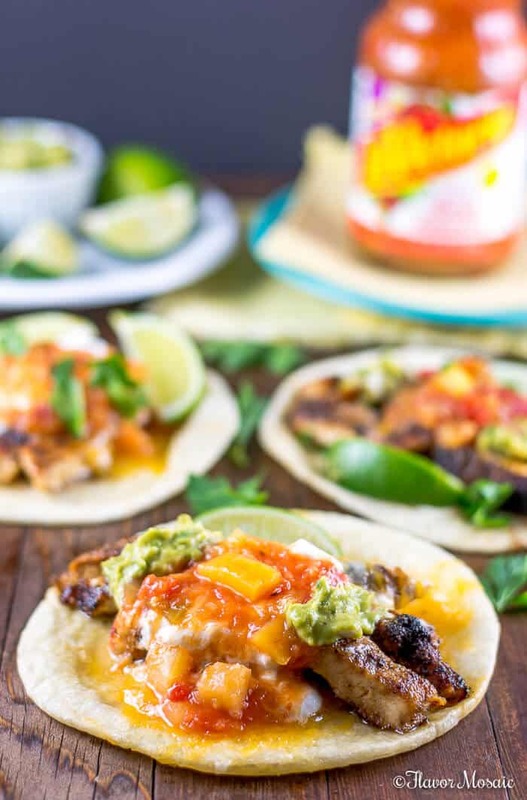 Taste spicy and flavorful with the Cajun Blackened Seasoning and that your whole family will love. Pair well with two Cajun / Creole side dishes for a complete delicious Mardi Gras or Fat Tuesday dinner. Have a quick and easy weeknight dinner on the table in less than 30 minutes. 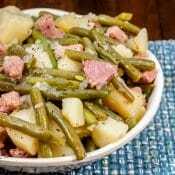 Provide your family with a healthy, nutritious entree that fits well into low fat, low carb, gluten-free, Keto, and Paleo diet plans. Use common, everyday ingredients that are most likely already in your refrigerator and pantry. Who Created The Blackening Cooking Technique? Chef Paul Prudhomme, the Chef at K-Paul’s Louisiana Kitchen, (if you haven’t been there, you must go!) created the blackening technique in his New Orleans restaurant. If you are looking to go to New Orleans for a foodie trip, be sure to check out my New Orleans travel tips and restaurant recommendations. What Makes the Fish or Chicken Blackened? 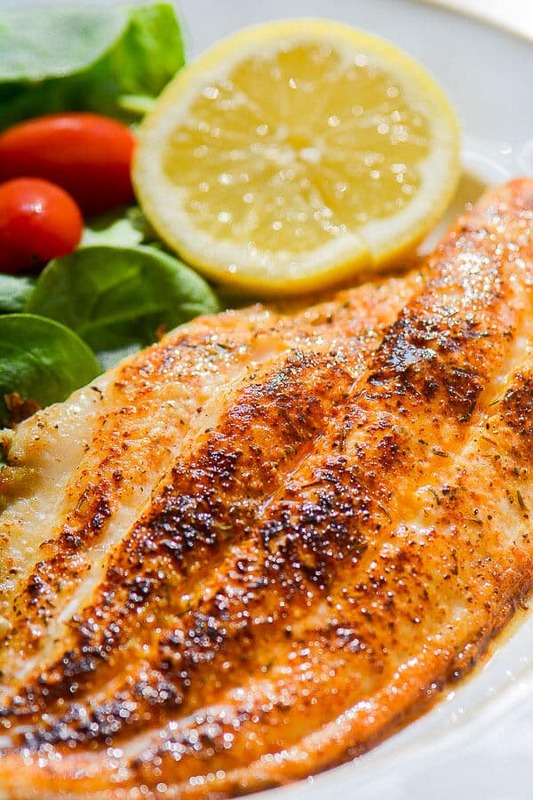 Blackening is where fish or chicken or other food is dipped in melted butter and covered in a spicy seasoning blend with herbs and spices called Cajun Blackening Seasoning. When cooked it has a black-brown color. 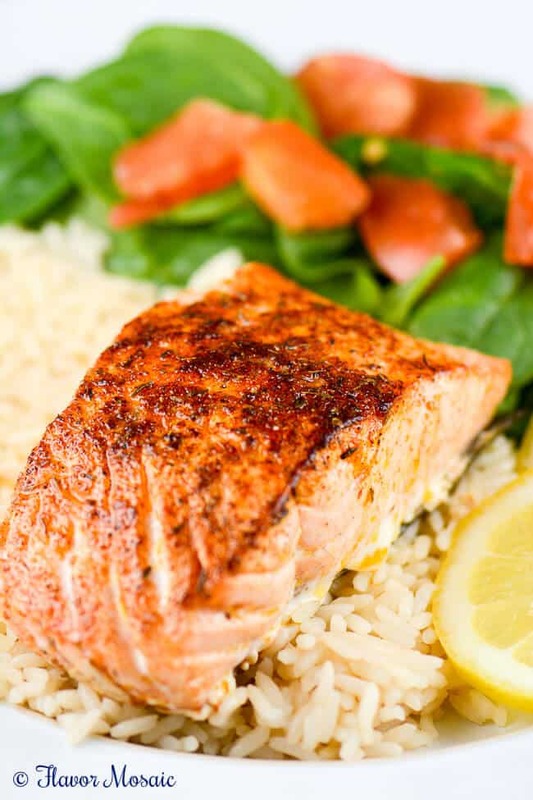 While Chef Prudhomme created this technique for redfish, it will work for any type of fish, such as salmon or catfish, and also works great on chicken, as you will see below. 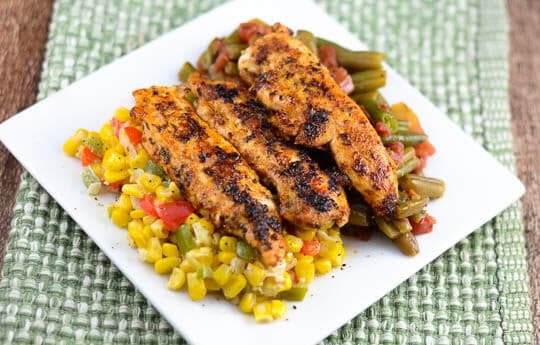 Cajun Blackened Chicken is so quick and easy to make as well as healthy, that you can make it any time you want a delicious dinner in a hurry. 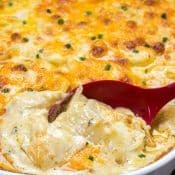 So it is perfect for weeknight meals. 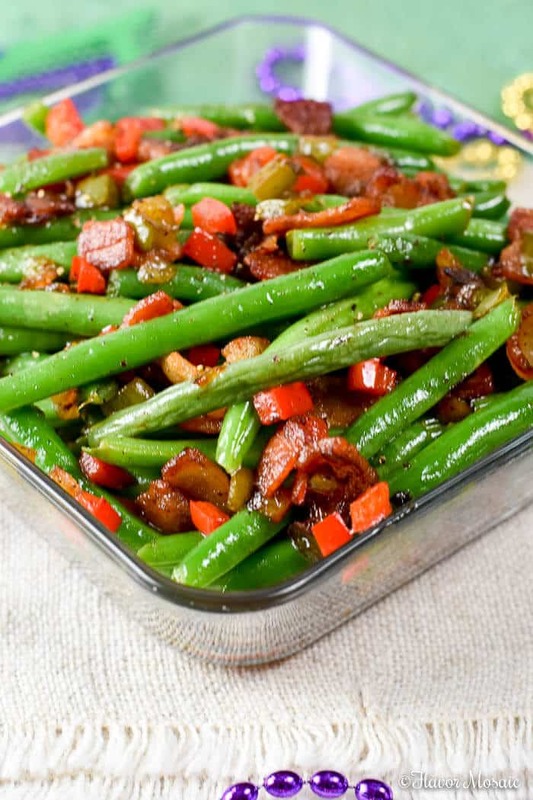 However, it is an especially popular dish during Mardi Gras or Fat Tuesday! The day before Ash Wednesday people party and enjoy foods and drink before fasting for Lent. Cajun Blackened Chicken is the main course of our homemade Mardi Gras dinner. 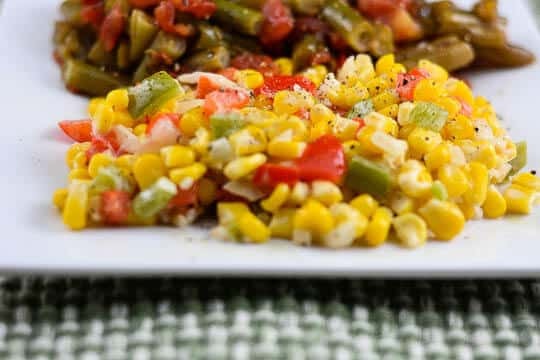 You have seen the recipes for the side dishes, Creole Greens Beans, and the Maque Choux. This spicy chicken dish rounds out the dinner. 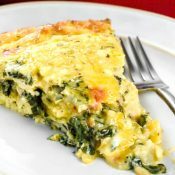 It is loaded with flavor but won’t break the calorie bank. For dessert, I like to serve Bananas Foster Upside Down Cupcakes. 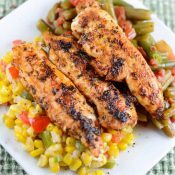 How Spicy is Cajun Blackened Chicken? The chicken is spicy, moist, flavorful, and delicious. If you want to tone down the level of heat, it is easy to reduce or leave out the cayenne. 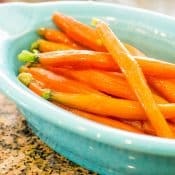 This can be made on top of the stove in 30 minutes and will bring a smile to everyone’s face. I like making the Blackened Seasoning mix myself because I can tweak to the level of heat I like and the level of saltiness (or no salt) and it will be just the way I like it! The Cajun Blackened Seasoning is perfect on chicken, but you could also use it on catfish, salmon, or shrimp as well. What Can I Do With Leftover Cajun Blackened Chicken? Slow Cooker Chicken Enchilada Soup. I recommend using a cast iron skillet. Use quality spices for the Blackening Seasoning. I recommend making your own Cajun Blackening Seasoning Mix. Make sure the chicken breasts are completely thawed. Make sure the skillet is very hot before placing the chicken in the skillet. If you like this recipe, you may also like my Baked Chicken Tenders with Honey Sriracha. Cajun Blackened Chicken is an easy, spicy and flavorful chicken dish that can be ready in 30 minutes and is great for a weeknight dinner. In a small bowl, stir together the first 9 ingredients. Spray both sides of the chicken breasts with cooking spray. Then sprinkle the seasoning over both sides of each chicken breast. In a large skillet over medium heat, add a tablespoon of olive oil. When the oil is hot, add the chicken breasts. Cover and cook the chicken breasts for approximately seven to eight minutes on each side. After the chicken has finished cooking, remove it from the heat and let it rest for about 5 to 10 minutes. For more ideas, try these Cajun recipes. For another main dish, try my Cajun Blackened Catfish. Or maybe you would prefer this Cajun Blackened Salmon. 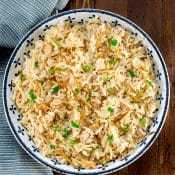 To round out your Cajun meal for Fat Tuesday, try this yummy Maque Choux. 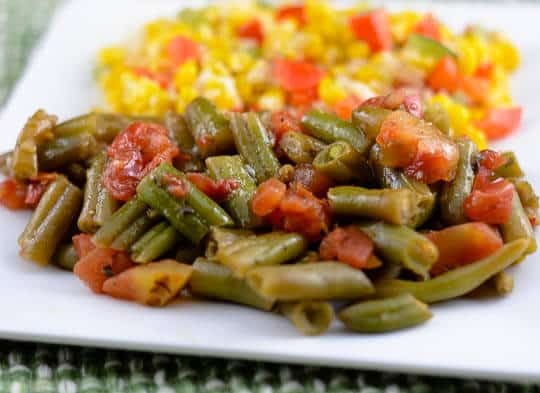 For a Cajun / Creole side dish try my Creole Green Beans. 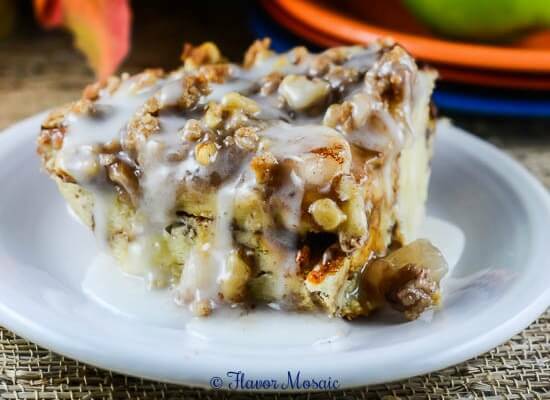 For dessert, try my Cinnamon Apple Pie Bread Pudding. 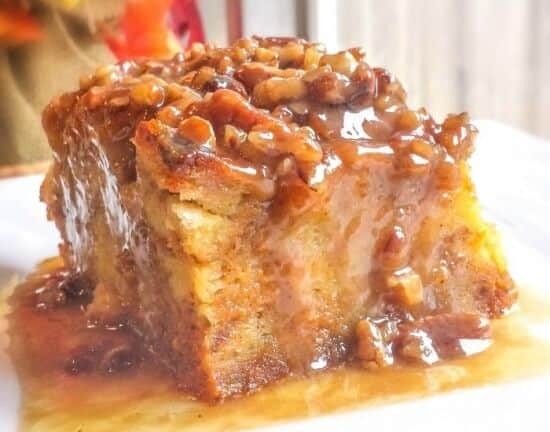 Or you may like my Pumpkin Praline Bread Pudding for dessert. 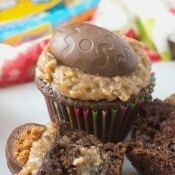 Find out why it is my most popular recipe on the blog. 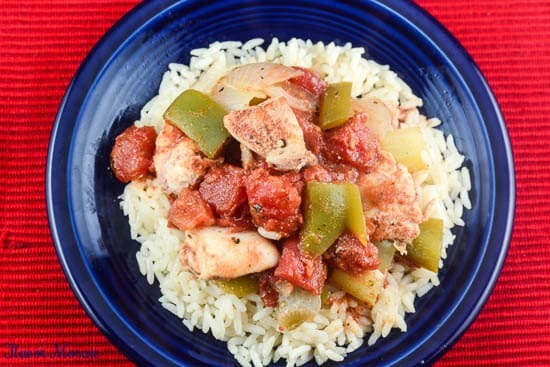 Another main dish you may like is my easy Baked Chicken Creole. 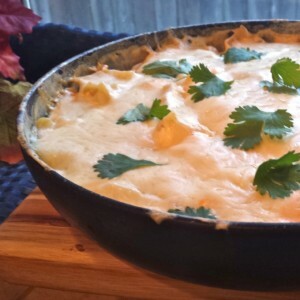 If you like this recipe, you may also like my Creamy Cajun Chicken Lasagna. This post may be included in one of these fantastic link parties and The Weekend Potluck #108. This looks great!! Love the flavor combo! 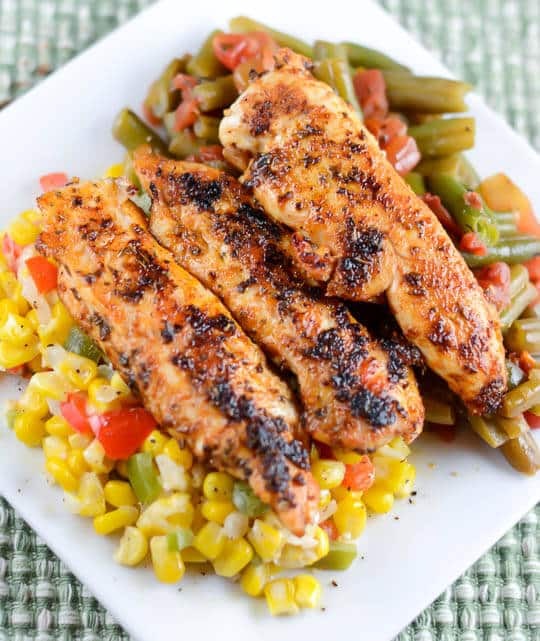 This chicken looks delicious – especially served over corn & green beans! Is it lunchtime yet?!? 🙂 Thank you for sharing at #GetHimFed Fridays!! Thank you. Thanks for an awesome link party. I love that I already have all the ingredients on hand to make this. So much flavor! This looks so good! Thanks for linking up on OMHG Wordless Wednesday! My family discovered we love blackened dishes when we lived in the South. Can’t wait to try this for my family. 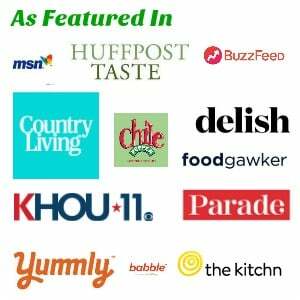 Thanks for sharing at the This Is How We Roll Link Party on Organized 31. This is my kind of comfort food! Thanks for linking up with What’s Cookin’ Wednesday! Hi Karly! Thank you so much for a great link party! I LOVE this chicken. I have made it 5 times in less then 3 weeks because it is just so delicious. I am waiting for it to finish cooking right now. Mmmmm…. So yummy, can’t wait to sink my teeth into the succulent delicious chicken. I’m so happy you love it. 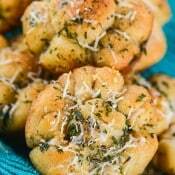 We do too because it is delicious and so easy to make. Thank you so much for taking the time to stop by and let me know. You made my day! I’m so glad you do. We do too! This chicken looks amazing. 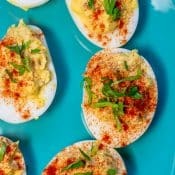 Love recipes like this that can be used in so many ways! 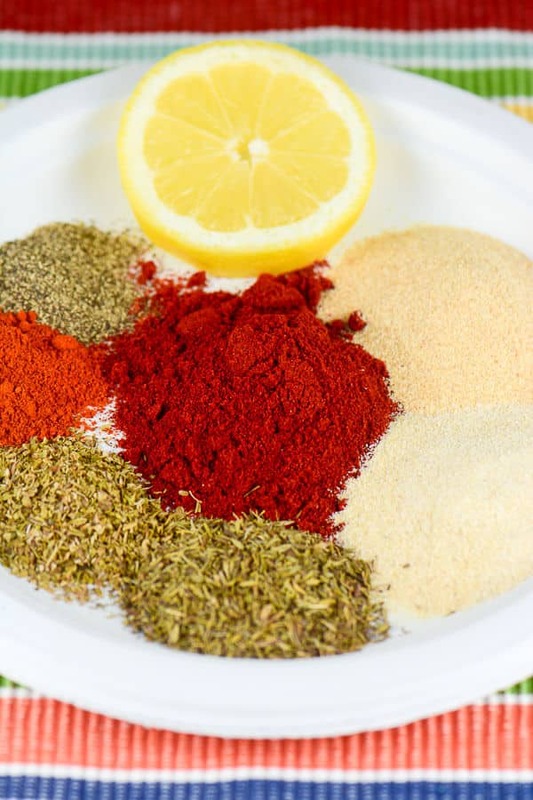 Love your combination of seasonings! My husband loves chicken recipes. This one is great. I will add to my cooking list. I will try this at weekend. Thanks.